Taste a Fanatical Concern for Freshness. Watertown, Wisconsin. In 1970, Marvin Berres founded Coffee Host, Inc, a vending company for soda and coffee. In 1992, his sons Peter and Jeff converted the business to focus on coffee. Having grown up in a family-owned coffee business, the Berres Brothers roast their own blend of the world's best quality beans. Their coffee is the cleanest and freshest tasting coffee their customers have ever had. 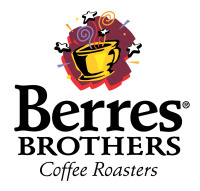 When you sip a cup of Berres Brothers Coffee, you experience their care and fanatical concern for freshness.